The 2016 Toyota Avalon and 2016 Ford Taurus are both large sedans that promise refined comfort. While on the surface they might appear to be similar, by analyzing the various features the differences become apparent. Ultimately, one option provides superior everyday conveniences that make ownership far more enjoyable. Many people love the many advantages of owning a hybrid. They make fewer stops at the gas station, cut down on emissions and even enjoy less noise when driving. These pluses can only be had with the 2016 Toyota Avalon, since it's offered with a hybrid powertrain and the 2016 Ford Taurus isn't. With Toyota's Hybrid Synergy Drive technology, drivers can choose different driving modes. One, called EV, even allows the sedan to travel using only electricity, making it possible to run errands without burning a single drop of gasoline. Vehicle safety is a serious business, and some automakers take it a little more seriously than others. 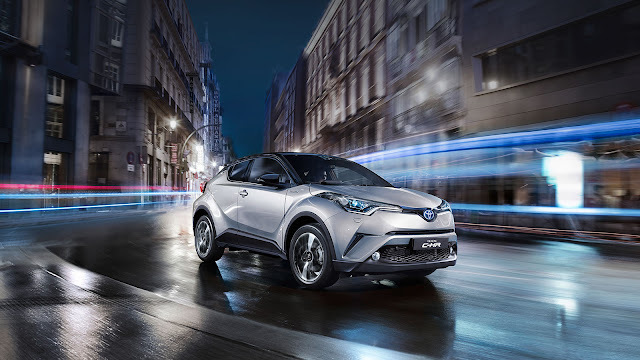 As more and more manufacturers begin to introduce the latest and most advanced active safety features across their ranges, Toyota has made a bold statement to put it right at the front of the market. In a statement issued by the automaker, its Safety Sense suite of technologies will become standard equipment on nearly every trim level the company offers in the U.S. auto market from the start of 2018.
is literally the best-selling car of all time, with more than 43 million sold in the past 50 years. This kind of success doesn't come easy, however, so when Dodge recently brought back the Dart compact, some folks may have wondered if the Corolla's sales crown was in jeopardy. Well, it's not. A few years into the Dart's lifecycle, the Corolla continues to provide benefits the Dodge can't match, and in some of the areas that are most important for shoppers. Toyota engineers have long been proud of the durability they build into each and every Tundra full-size pickup, but even they were surprised when they saw Victor Sheppard's 2007 model. Sheppard, a long-haul driver from Houma, La., had put more than 1 million miles on his truck since he first purchased it, yet his Tundra was still in excellent shape. In fact, it still had its original engine, transmission and even paint job. Just about every major automaker in the world is working hard at the moment to make the concept of driverless vehicles into a reality on our streets and highways. The technology to allow cars to steer, brake and navigate without any driver input is progressing rapidly, but getting vehicles to interact safely with the rest of the environment and other road users is another matter entirely. It obviously requires a huge amount of virtual, controlled and real-world testing before this technology can be unleashed into the retail market. That's why Toyota is now turning the streets of Ann Arbor, Mich. into what will now effectively be the world's largest operational, real-world deployment of connected vehicles and infrastructure. 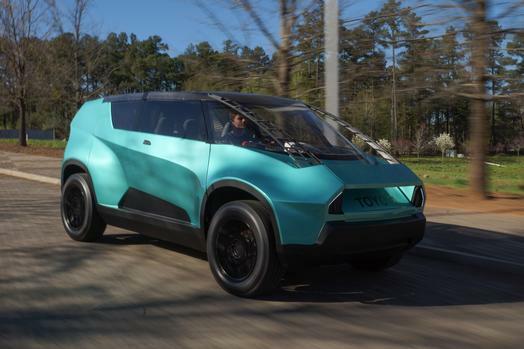 When Toyota agreed to work with engineering students at the International Center for Automotive Research at Clemson University, they were just hoping for a positive collaboration. In fact, they got much more than they bargained for. The resulting uBox concept vehicle has innovative versatility features and unique personalization capability. The curved glass roof is made with an industry-first manufacturing technique. You'd never guess that there were bits of Camry, RAV4, and other Toyotas inside this UBox utility vehicle. It has a silhouette that seems like a van. The boxy body looks like it just needs armor to become a military vehicle. The front end features a blunt nose and an angled windshield. While the sides are high, there is a lot of glass to this greenhouse. The engineering students used a pultrusion technique to create a curved glass roof by using composite carbon fiber rails bonded with aluminum. Every automaker has its own take on environmental matters and sustainable mobility. Some are putting their faith in hydrogen fuel cells, some see hybrids and plug-in hybrids as the future, EVs are the choice of others, while plenty appear to still have faith in efficient gasoline models. Most manufacturers also pay a lot of attention to the materials used to build their products, many of which are now recycled, recyclable or both. However, Toyota has now gone and taken things to an entirely new level with a concept that's not only all-electric, it's even made almost entirely from wood. Ready for action, the 2017 Toyota C-HR is expected to make a splash in the compact crossover market. 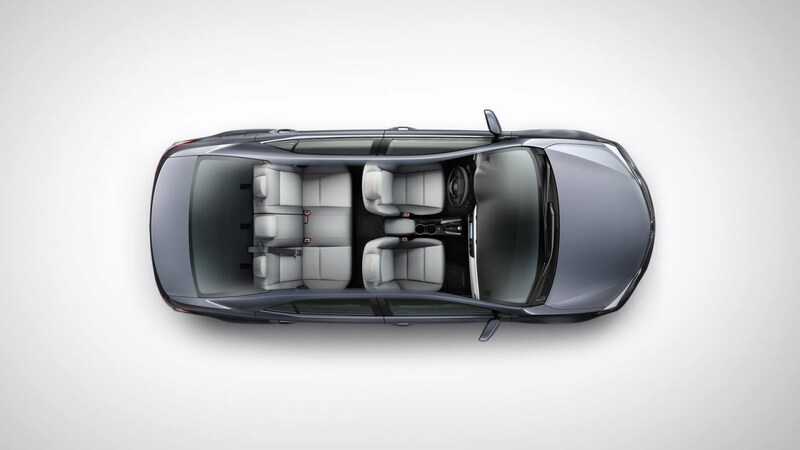 This SUV has the headroom and legroom you'd expect, but it sports a distinctive design that is unexpected and fun. It is definitely poised to compete vigorously against the Honda HR-V. The safety of modern vehicles continues to improve, thanks to the ongoing research and development into both active and passive safety technologies being carried out all the time by the industry. But for the vast majority of consumers who are unlikely to be experts in advanced safety systems, there needs to be a scale or a benchmark for comparing models. A system of rating vehicle safety makes it easy to understand just how safe a particular vehicle is when compared to its rivals. The Toyota Prius was the first mass-produced hybrid vehicle in the world when it went on sale in its native Japan in 1997, before going on sale here in the United States in 2000. It's probably still the first name most people will think of when they are asked to name a hybrid vehicle. But the all-new 2016 model is different from its predecessors in just about every way now, apart from its name and the fact it's an electric/gasoline hybrid. 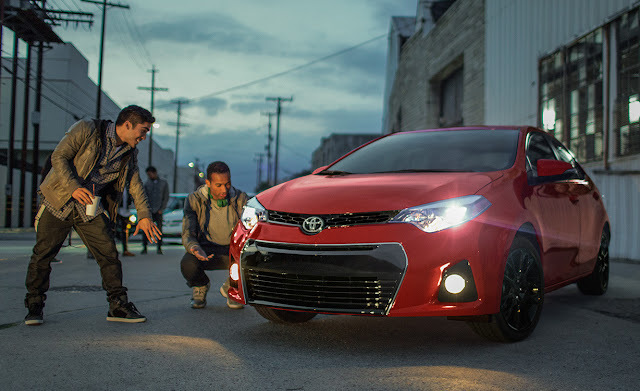 Basically, if you liked what the Prius had to offer in the past, you're going to love what you'll find with this all-new, fourth-generation 2016 model.